Struggling to enjoy walks with your dog? Many people think that if you work (or own!) a vet hospital, your dog must miraculously be well-behaved. The truth is, we have a disproportionate number of challenging dogs! Due to rescue situations and simply choosing high-drive breeds, our own staff at Pandosy Village Vet have seen it all. When we choose products for our own Pounce & Hound store, we think about our own [dog-aggressive / hates cats / squirrel crazy / way-too-big] dogs. Of course, there is no substitute for training! Positive treats and encouragement go a long way. The proper tools can also help a lot to keep your dog walking nicely. Wonder Walker body harness and Perfect Pace head halter. They meet our strict criteria for #1 pet safety, #2 humane handling and #3 effective control. 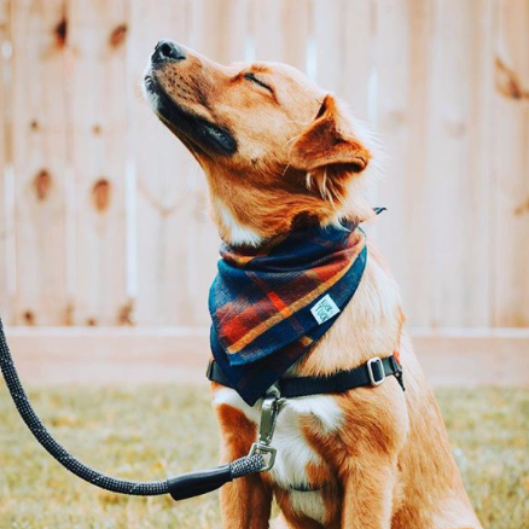 The Wonder Walker body harness was developed by a lovely granny named Mary in Seattle, and the simple, effective design really helps slow enthusiastic dogs down. 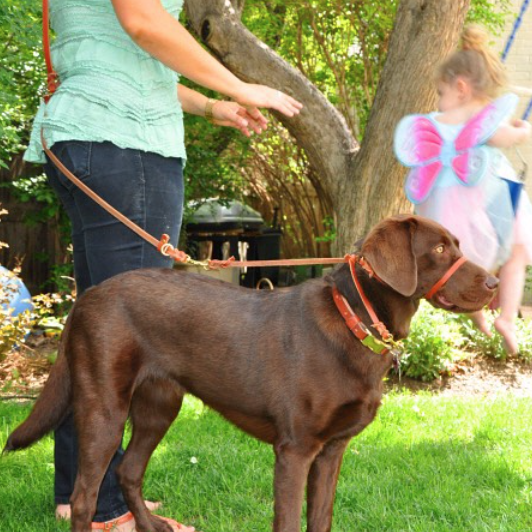 Don't let the simplicity fool you - this is one helpful harness. 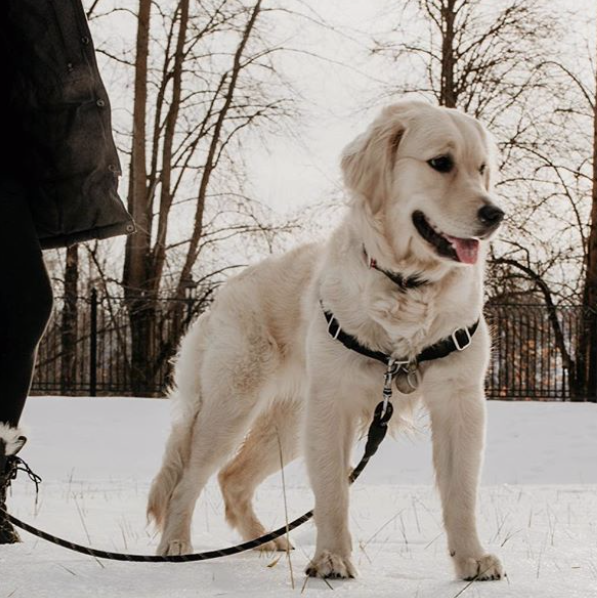 The Wonder Walker fits tightly around the body, but loose in the front, so that when a dog pulls, the front-attached leash pushes back on their chest. This is an excellent choice for high energy dogs, and puppies that pull. It comes in sizes for 10lb to 150lb dogs. We always recommend pet parents watch the video on how to fit the Wonder Walker, because the fit is the key to how it works. The Perfect Pace head halter is made by the same company that makes service dog gear for veterans and mobility-challenged clients in the US. Head halters provide incredible control over a dog - think about how people manage to walk horse beside them. Many of you know that we had a 170 dog, and if he saw a squirrel, our children could still hold him in check with the Perfect Pace head halter. It's incredible. 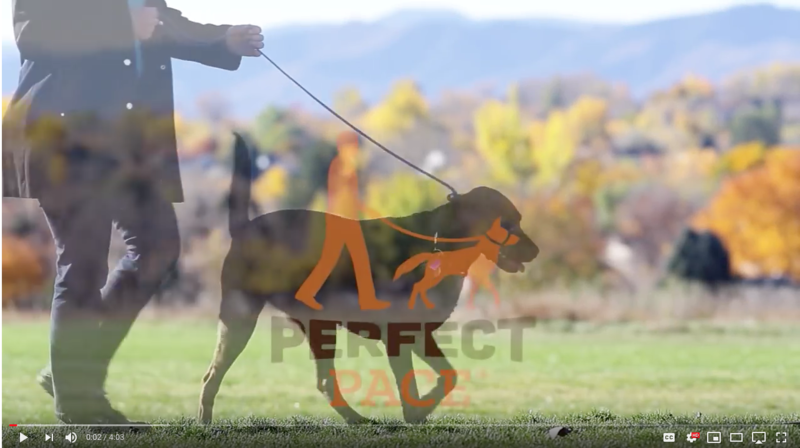 The Perfect Pace is our go-to tool for aggressive, powerful and headstrong dogs. 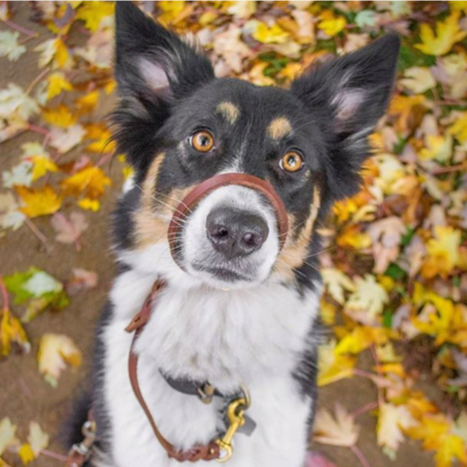 We always recommend a lot of positive reinforcement when introducing a head halter, so that they enjoy wearing it (walkies!) as much as Tully did. (They have a great training video.) The Perfect Pace is an incredibly well-made leather halter that doesn't pull on a dog's spine, and meets our chiropractor's approval. Notice how it attaches at the back of their head, between their ears, not under the chin. It's appropriate for 30lb + dogs. See how it works in the video below. We get the frustration - your dog pulled you into traffic, or tried to wrap her teeth around another pooch. You are worried and frustrated, but still want to do right by your dog and walk them to get exercise. If your dog is incredibly strong and a big puller, a head halter can work very well for extreme control. In fact, breeds that have a high pain tolerance respond better to the specific feedback from a head halter than they do from the constant pain of a prong collar. 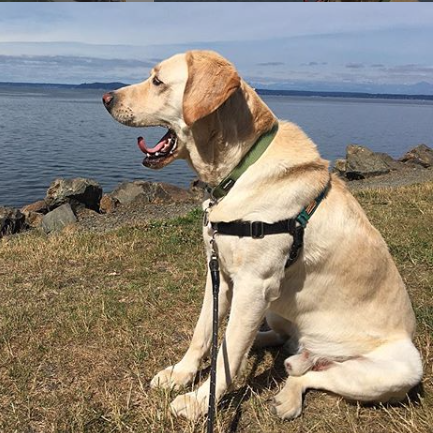 If your dog is aggressive and might bite someone, a regular collar or walking harness - and an easy-breathing basket muzzle - might be the right choices. In any case, there are solutions that work without using a prong. 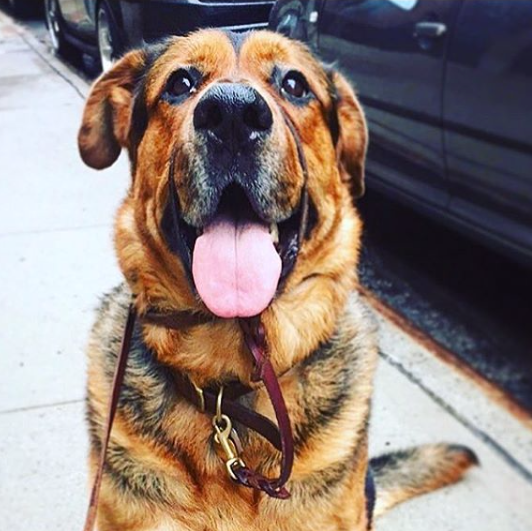 If you've been using a prong collar, come talk to us, and we will help you find a humane walking solution that keeps you, your dog and others safe and comfortable.